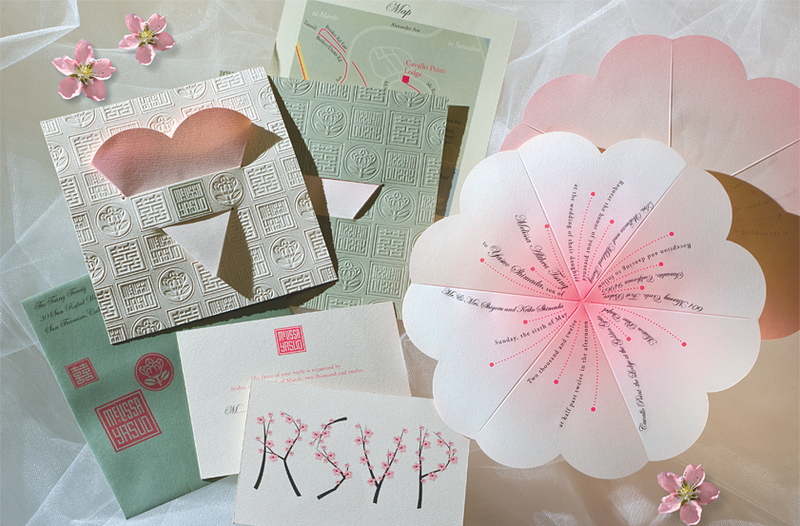 Melissa Tsang + Yasuo Shimada began their courtship in Japan during the cherry blossom season. 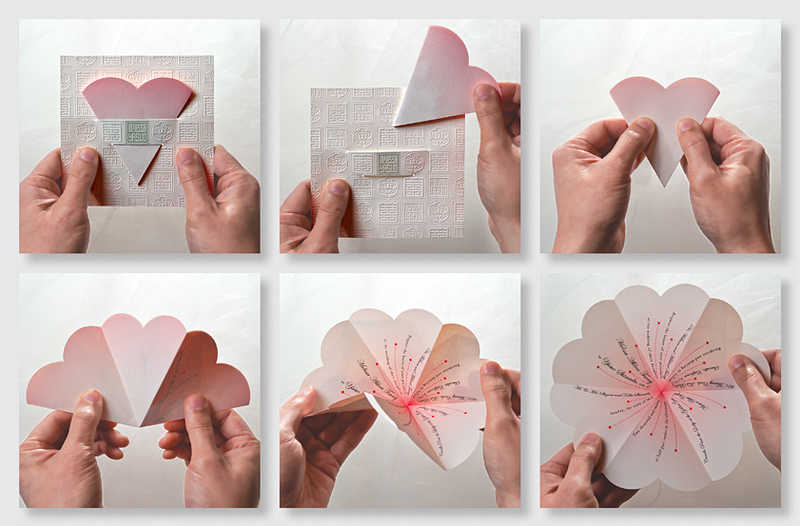 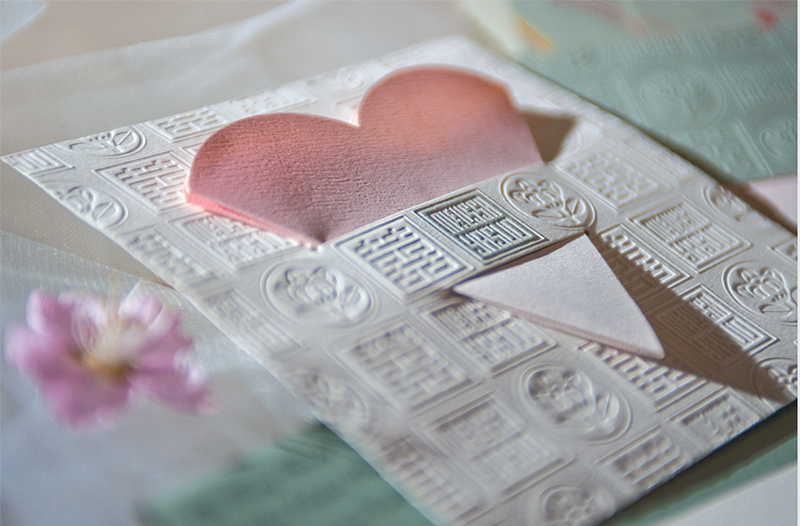 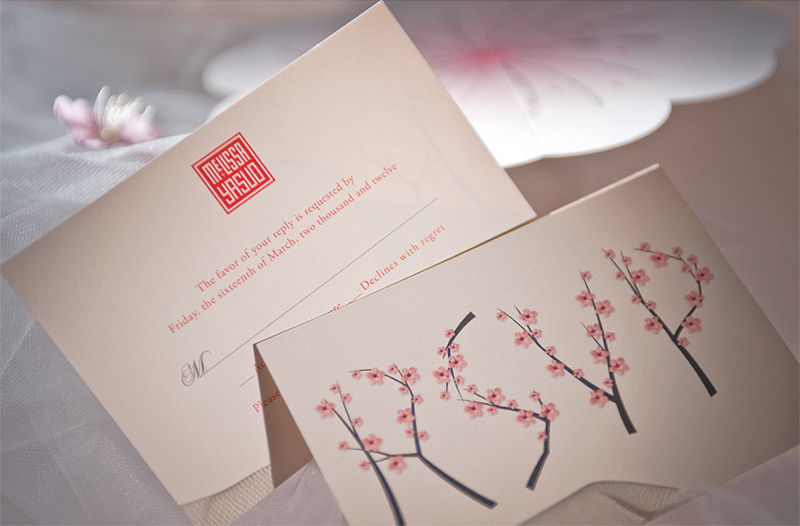 This inspired our solution for their wedding invitation: a symbolic heart which transforms into a cherry blossom as an emblem of love and affection. 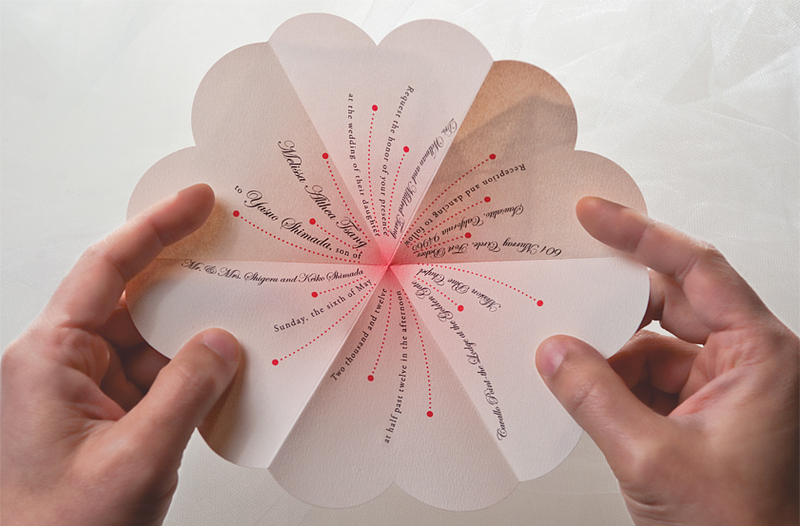 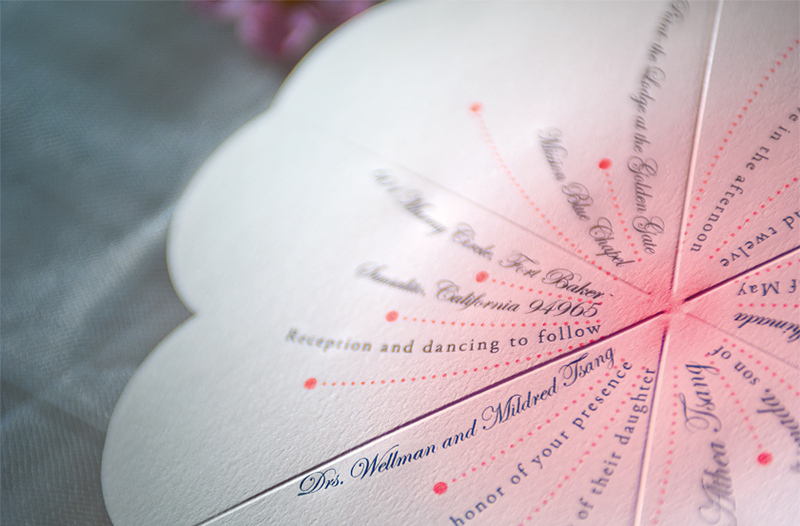 The invitation combines engraved Edwardian Script type with the flower’s seeds.